Basically what I needed is to check the notification against some regular expressions before the Pebble application sends it to the watch. 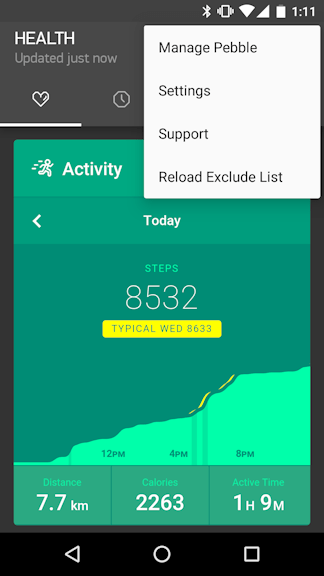 An Android application needs to create a NotificationListenerService in order to get the notifications from the phone, and implement the method onNotificationPosted to receive the notification and process it. We’re going to find where this is using a Dex to Java decompiler called jadx. 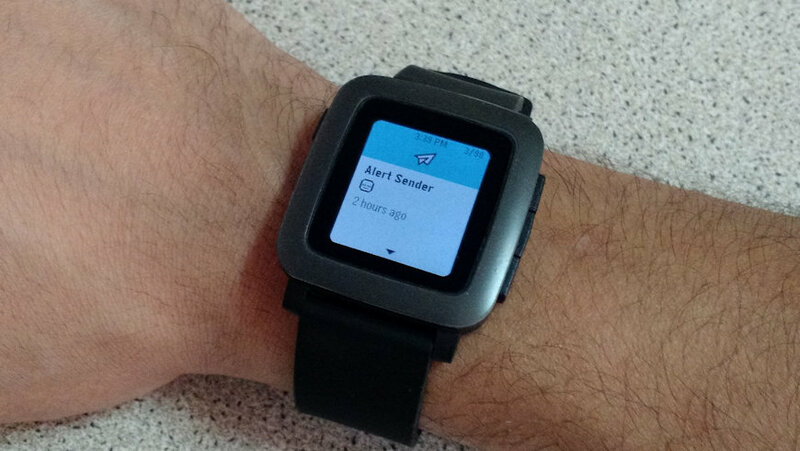 For this article we’re going to use the Pebble for Android v4.0.0-1209-98b6e71. Just adding our new check there that if the notification matches and exclude list, it won’t be sent to the watch. Now how can we do that? It’s not like we can compile all this code again in Java and then convert it to Dalvik. We have to modify this class in assembler, and that’s the fun part of it! const-string v2, "Notification is duplicate; skipping"
const-string v1, "Notification title/body matches an exclude string; skipping"
// What could I do? naikel@debian ~/Pebble $ apktool b Pebble_4.0.0-1209-98b6e71 I: Using Apktool 2.2.0-dirty I: Checking whether sources has changed... I: Smaling smali folder into classes.dex... I: Checking whether resources has changed... I: Building resources... I: Copying libs... (/lib) I: Building apk file... I: Copying unknown files/dir... naikel@debian ~/Pebble $ jarsigner -storepass testing -keystore pebble-modded.keystore Pebble_4.0.0-1209-98b6e71/dist/Pebble_4.0.0-1209-98b6e71.apk pebble-modded jar signed. Warning: No -tsa or -tsacert is provided and this jar is not timestamped. Without a timestamp, users may not be able to validate this jar after the signer certificate's expiration date (2044-01-14) or after any future revocation date. No -tsa or -tsacert is provided and this jar is not timestamped. Without a timestamp, users may not be able to validate this jar after the signer certificate's expiration date (2044-01-14) or after any future revocation date. And now you can install it in your phone. Remember that you have to uninstall the official Pebble application first since the signatures are different. Sadly you will lose the past health data in your phone but it will still be there in the watch. Also, you have to enable the option to allow installation of apps from unknown sources in your phone. If you are not getting any notifications you will need to turn off and then back on the notification access of the Pebble app in your phone, but I really prefer to reboot the phone after installing the app. You can get a modded 4.3.0 version here. This entry was posted in Pebble and tagged android, pebble, smali. Bookmark the permalink. Good idea! I didn’t even know there was a 4.3.0. Since I’m using my own versions I never receive the official updates and I always forget to check if there was any. This is fantastic! I’ve been wrestling with Pebble Notifications for ages now and this is the ammunition I need to finally manage them. Have you done one for 4.3.0? If not, I might do it, and add in some additional features that I like from NC while I do. Well, I’ve been trying this for a while now and I’m simply not experienced enough to do this kind of thing. Some of this parsing code has changed in the new 4.3.0 app, and I think I just about managed to follow it to insert the new assembler. However, you also added a menu option etc and that, for now, is beyond me. Graciously awaiting you to try your hand at the 4.3.0 version. I updated the modded version to 4.3.0, I guess that’s the last official Pebble client for Android we will ever had. If Pebble opens the client code, I could do way more stuff, and improve the Pebble a lot, with things like these but with a more friendly GUI and stuff. I hope they open the code soon.